DCR is Back in Stock! Current daily ROI is about 0.55%! 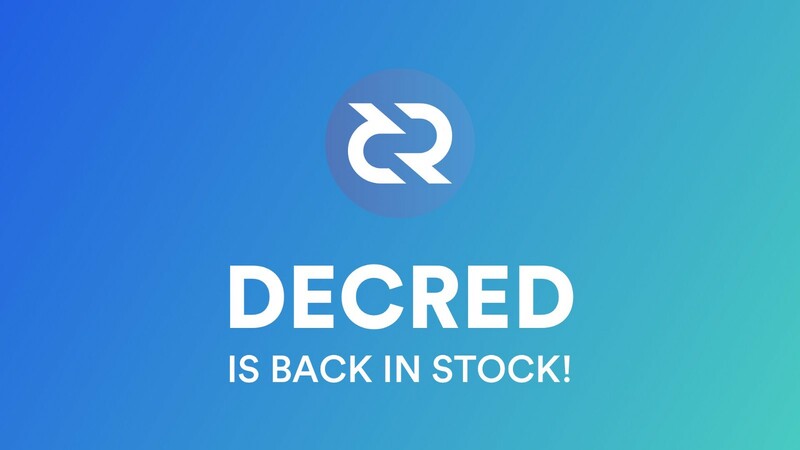 We are excited to announce that the Decred(DCR) Mining hardware is back in stock. Now you can mine the DCR at Hash.Pro as soon as you purchase the contract. Decred is an autonomous digital currency that has been developed by a few of the original Bitcoin developers in response to the flaws of other cryptos such as Bitcoin. With a hybrid consensus system, DCR is built to be decentralized, sustainable, and self-ruling currency where stakeholders make the rules. Best price on the market — Compared with alternatives, we are convinced that we have the best price/hash option on the market: USD 10 per 50 GH/S. Maintenance fee — The maintenance fee applied is USD 0.00036 per GH/S per day. 2- year contract time — The DCR mining contract will run for 24 months. New mining hardware — We have set up the most powerful and the latest generation of Decred miner: Antminer DR3. High daily ROI — Decred is one of the most profitable digital currencies to mine at the point. The current daily ROI is about 0.55%. Go to our website and start mining Decred now!